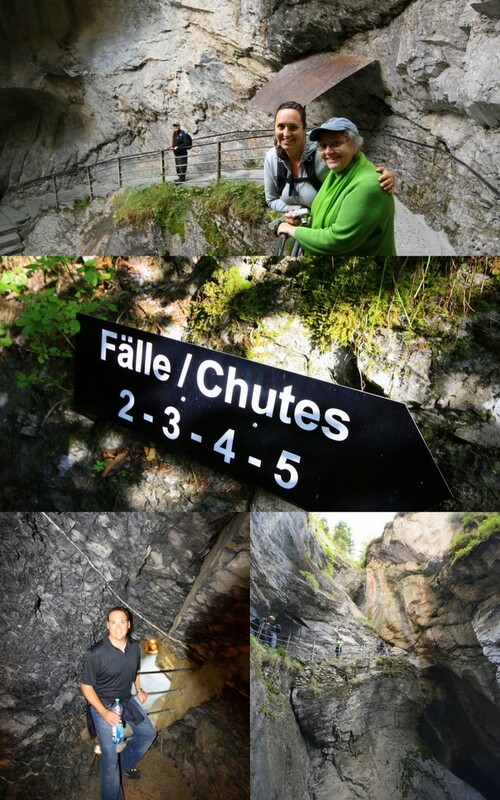 Switzerland, are you for real? Being born and raised in California has spoiled us just a bit. At home we’re surrounded by breathtaking oceans, mountains and deserts. We thought we had it all, but we thought wrong. This valley was unlike any place we had ever been. It was vaster, yet more charming than we could have ever anticipated. Below: The view from our hotel room, Switzerland’s natural SUVs stopping traffic, our hotel, a chalet in the mountains, the main street in town. We couldn’t wait to get out and explore the valley. It didn’t take us long to figure out: when in doubt, follow Colleen! Our new BFF was happy to spend her free day showing us the sights. 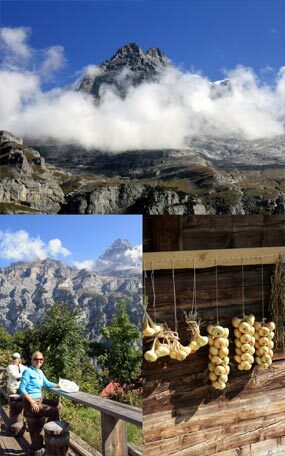 We hopped on the Grutschalp gondola and soared to what seemed to be the top of the world. Once up top the group split into two, those that enjoy walking uphill, and those who prefer a more conventional mode of transportation (a train) and we were reunited in Winteregg. Below: Us in Winteregg, the group walking through Winteregg, incredible valley views, directional sign, the brave group that chose the uphill walk. 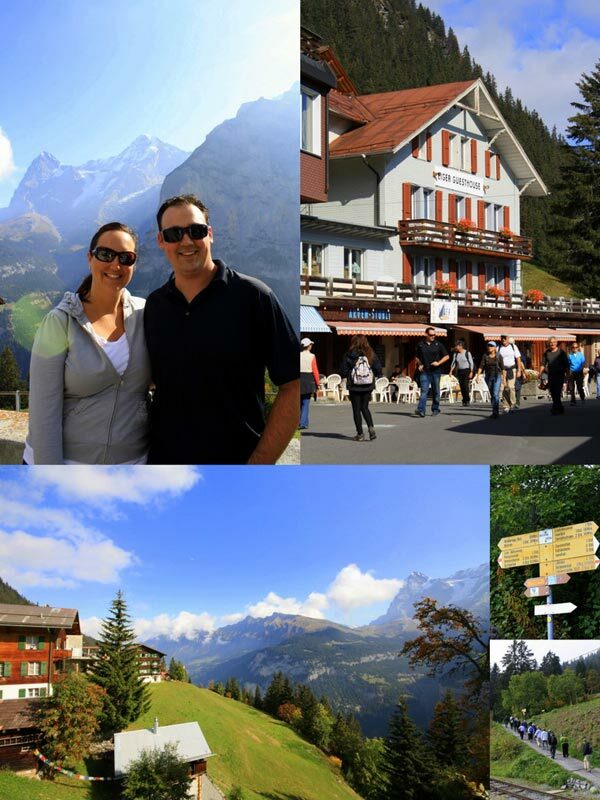 As we explored the mountain town it just kept getting better. The views were phenomenal, the sun was shining and there was more charm than one place should be allowed to contain. 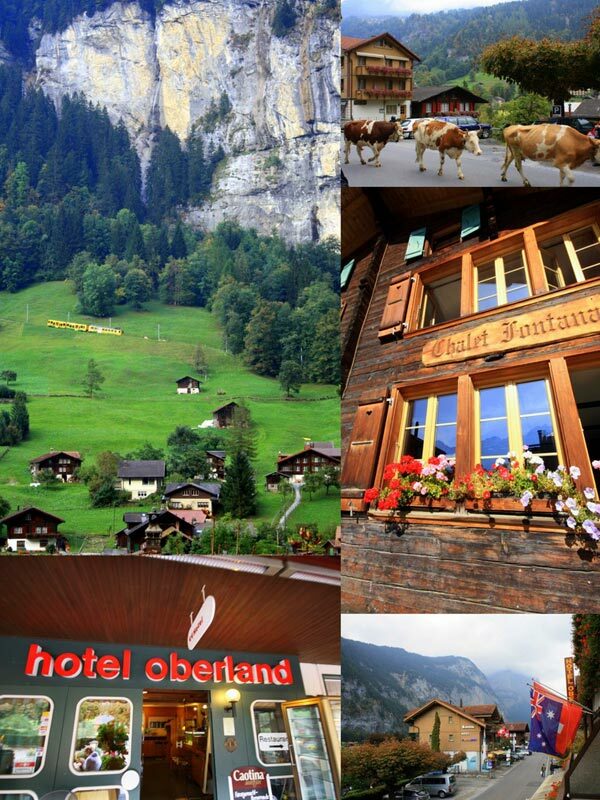 Cow bells chiming, flowers blooming, adventurers soaring; are we in vacation heaven? 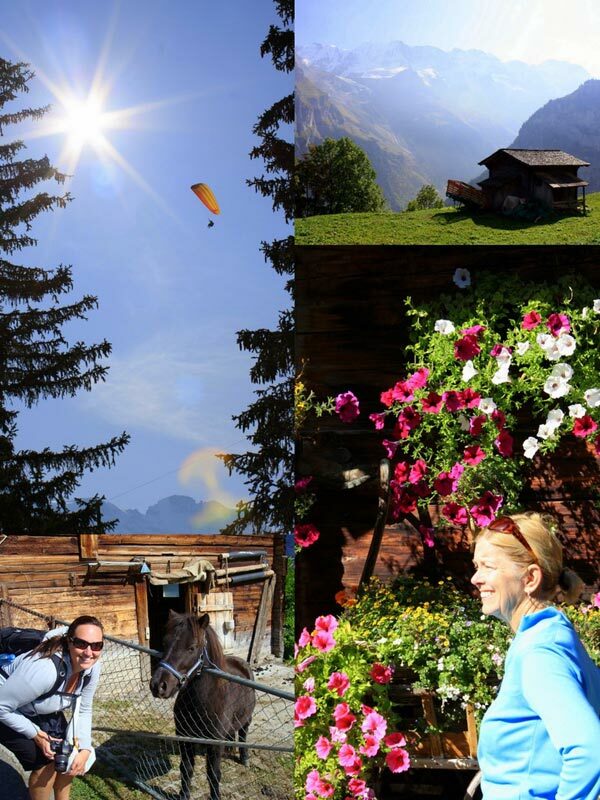 Below: A hang glider in the valley, tiny chalet with amazing views, a friend we met along the way, Rita with vibrant flowers. We stopped at a market in town and carried our picnic lunches with us. Colleen assured us that the miles of walking were going to be greatly rewarded (like they hadn’t already!?). A few of the group had faded away, but the majority of us were still going strong and were eager to see what was in store. 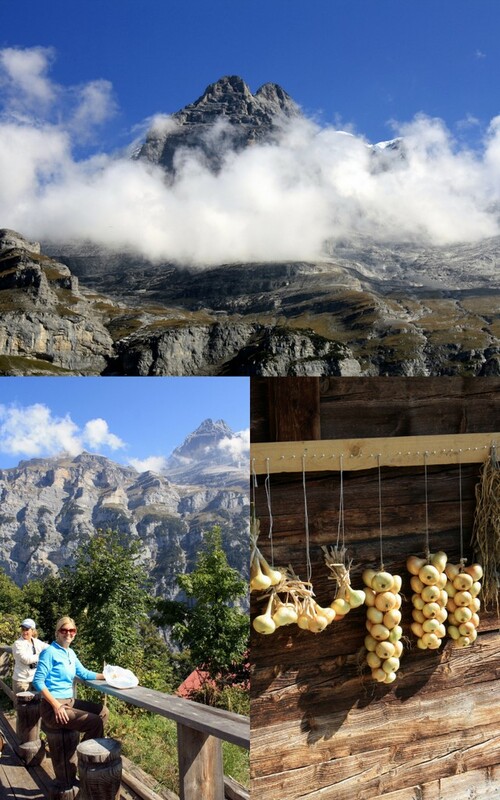 Below: Mike saying hello to some chickens, Kevin filling his water bottle with real alpine water, the group taking in the view along the way, Swiss avalanche control, flowers. We had followed Colleen up the mountain and then part way down again hoping that there would be a pot of gold at the end of this rainbow. As promised, our picnic spot did not disappoint. Our tables overlooked the valley and provided the perfect solace for tired travelers. 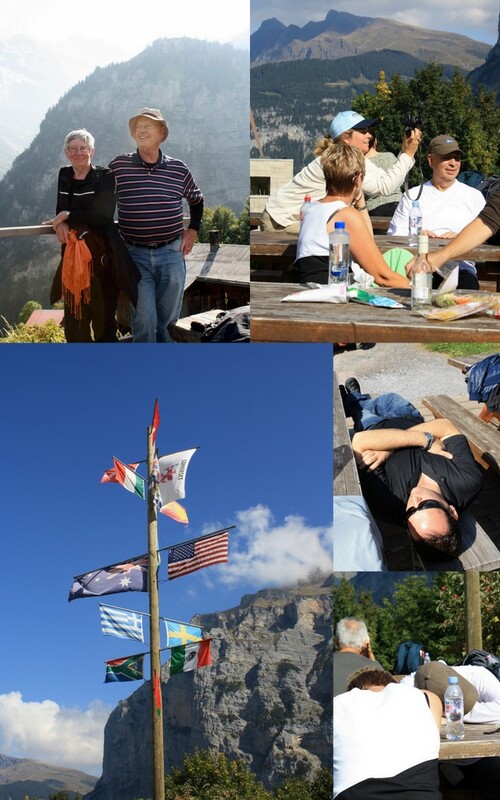 Above: Russ and Fern looking quite satisfied, the group taking some shots, flag post at the Mountain Hostel, Kevin and the group taking a quick rest. When you spend the better part of a day above the clouds you tend to forget that you’ve got to return to solid ground eventually. How does one get back to the valley floor? The most direct way possible: straight down! Once we were back on solid ground Colleen headed for the hotel (we must have worn her out) but pointed us in the direction of Trummelbach Falls. 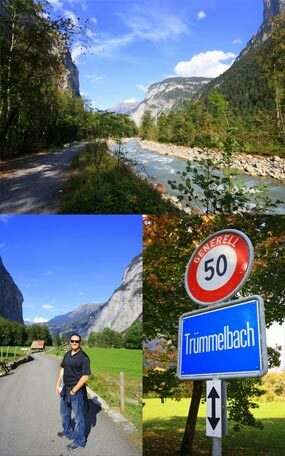 We were feeling the burn but knew it would be a while before we’d find ourselves here again, so on to Trummelbach we went! These are the only glacier-waterfalls in Europe inside the mountain that are still accessible and they are a must-see! Above: Nicole and Jeannie inside the falls, Kevin inside the falls. Was Paris amazing? Yes. Was Beaune beyond charming? Absolutely. 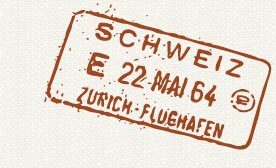 Did Switzerland steal our hearts in the blink of an eye? Without a doubt! 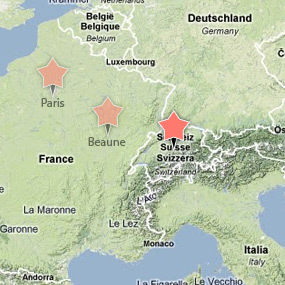 We didn’t see it coming, and we never meant to hurt you, France, but Switzerland is definitely where our heats will forever be. 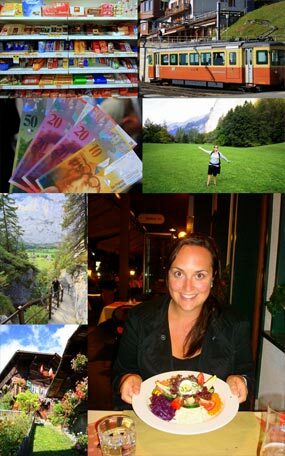 Above: Swiss chocolates, the train to Winteregg, Swiss Franks (even their money is beautiful! ), Nicole (wrong hills, but she was feeling “alive”), Kevin at Trummelbach, a mountain chalet, Nicole with an amazing salad at the hotel.